FSI Fraud Security Investigations was originally formed as Everest Communications Inc., and DBS Communications Inc, and operated as a major national electronics security integrator, providing major security infrastructure for Canadian military national defense systems, government installations and private sector facilities. In 1996, the company was targeted and defrauded by a money laundering operation wherein the perpetrators were apprehended by the RCMP and placed in custody with the FBI and extradited to the United States. However as a result of this crime, the company was rendered insolvent and ceased operations as a major national electronics security operator. The outgrowth of that demise was a highly specialized tactical team of financial fraud investigative specialists. The company is also the sole sourced investigative security agent for ILACO Corporation and ILACO Private Equity Consortium, a Private Equity and Management Consulting firm that seeks to raise debt and equity capital from qualified and legitimate investors. Its other affiliate companies that assist in executing specialized fraud investigative analysis include: Jutsun & Company Law Associates, a legal intermediary consulting and litigation support firm; ILACO Accounting, providing analytical bookkeeping and forensic accounting; GDS Canada Ltd., an electronic security systems integrator; JMG Digital Studios, a digital media and internet company providing cyberspace intelligence; and JMG Protection, providing specialized VIP bodyguards and personalized physical protection services. As such, FSI Fraud Security Investigations is finely attuned to financial frauds relating to fraudulent misappropriation of assets, money laundering operations and fraudulent enterprises. 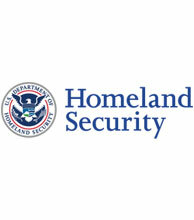 The confluence of these seminal entities make FSI Fraud Security Investigations a formidable multi-streamed tactical resource to source out fraudulent criminal activity, and pursue justice and recovery of assets for its victims through law enforcement and the judicial courts with due legal process.